General info Suitable forInstruction:What to expect? 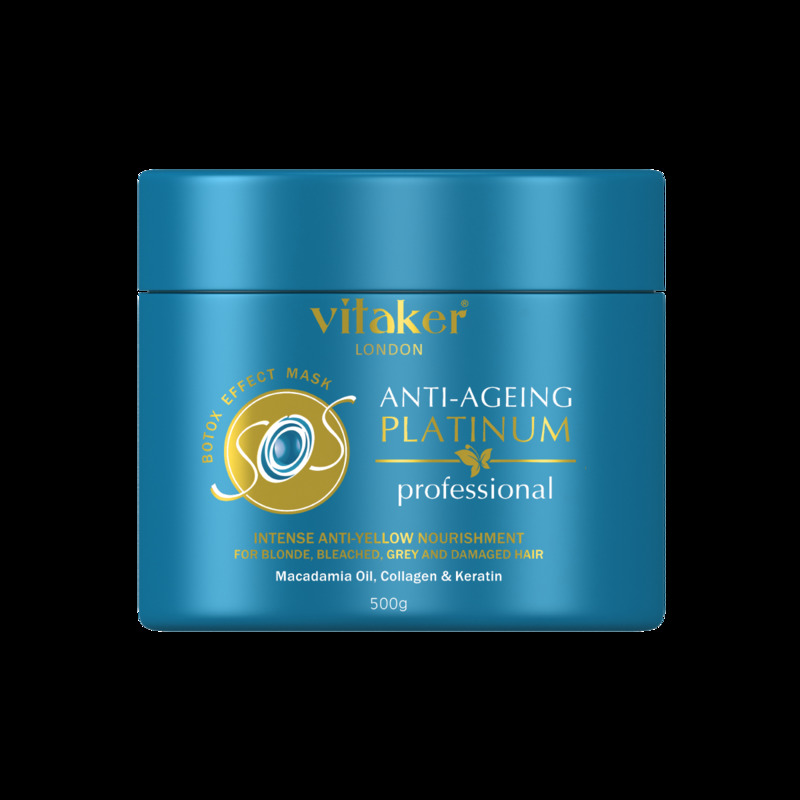 The mask was specially developed to treat blonde, bleached, highlighted and grey hair that has been damaged by colouring and chemical processes. It is a rich, moisturizing formulation that contains collagen and elastin and is able to penetrate the hair shaft, rebuilding it internally. The special, anti-yellowing formulation eliminates unwanted yellow, improving the appearance of the hair. Results are visible after the first application. Important note: The SOS treatments are ideal for use between Brazilian Keratin Treatments and before colouring and highlights. They provide intensive care, keeping the hair healthy and naturally moisturized. **Damaged and fragile hair, should first be treated with the Hydramax Therapy to strengthen the hair cuticle. SOS Anti-Ageing is extremely rich in amino acids and trace elements, so if the treatment is applied on very damaged and fragile hair, it may result in the opposite of the desired effect, leaving the hair looking rough and frizzy. Once the hair is restored the SOS Anti-Ageing Platinum treatment can be done. The two treatments can be done on the same day. Towel dry the hair 80% and apply S.O.S Anti-Ageing Platinum. Gently wash the hair with a cleansing shampoo (for very damaged hair use the SOS treatment shampoo). Rinse and repeat the process. Massage the hair thoroughly and leave it on for 15 (fine, damaged) to 30 minutes (thick, healthy). Do not use any heat. Rinse thoroughly and blow-dry the hair. Divide the hair into thick sections and iron each section 5 times. The iron should be set at 210 (thin, fragile) 230 (thick, healthy) hair. Ultra-shiny, silky, smooth, healthy, with frizz free hair. It also leaves the hair with a beautiful blonde colour.